NOTE: All condo units include washers and dryers, cable TVs, full kitchens with coffee makers and microwaves, all linens, covered parking, common area hot tubs- Townhouse condos have private garage & private hot tubs. Located just 9.5 miles from Snowbird, +1 mile to Alta, 15 minutes to Brighton/Solitude. 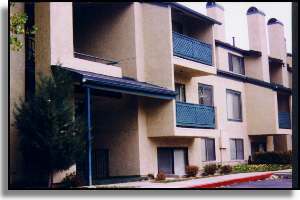 Closest 2 bedroom units in the valley by 10-13 minutes! Garden Level Unit, Sleeps 1-5: 2 bedrooms 1 bath lower level apartment: full kitchen w/ Dishwasher & stove, real oven, 7' ceilings, Outdoor extra large private Hot Tub, Satellite TV. Woodburnig stove. Beds-King, Queen, Double, Twin. Great location, great value! sleeps 1-6. 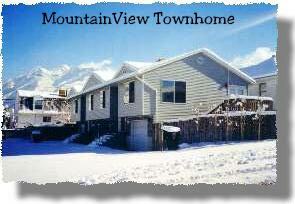 Townhome with Lift Tickets! Just $85 Reg Season per adult including (below) MountainView or PowderView Townhome with LIFT TICKETS each day (each ticket is worth $59)! daily rate based on 7 adults, lift tickets for any of 4 Cottonwood Canyon resorts each person each day! $95/pp for 6 adults, $110/pp for 5 adults, $125/pp for 4 adults, $145/pp for 3 adults - Based on 4+ night stay, kids 14 and under stay FREE!! Excludes Holidays, May require 6+nts. Click for Booking Policies Ski days, is the number of booked nights minus the arrival night. Nice stonework, car port or garage, some with fireplaces, roman tubs, and community hot tub. Just 30 minutes to the slopes! Attractive construction, spacious units. Fireplaces in all units. 7800 South 2000 East. 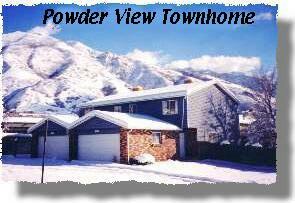 Powderwood Resort Condos: Located at Kimball Junction (at I-80 and Rt. 224). 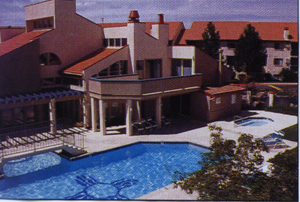 1&2 Bedroom units: full ktchens, fireplaces,. 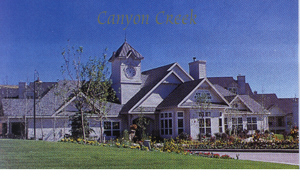 2 Miles from The Canyons Resort, 4/5 miles to Park City/Deer Valley Resorts. Best location! 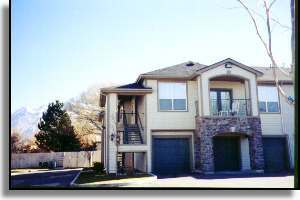 6650 S. 2000 E.
Call 801 943-5050, or 1-US Ski Lodging (877 545-6344) toll free for reservation info.